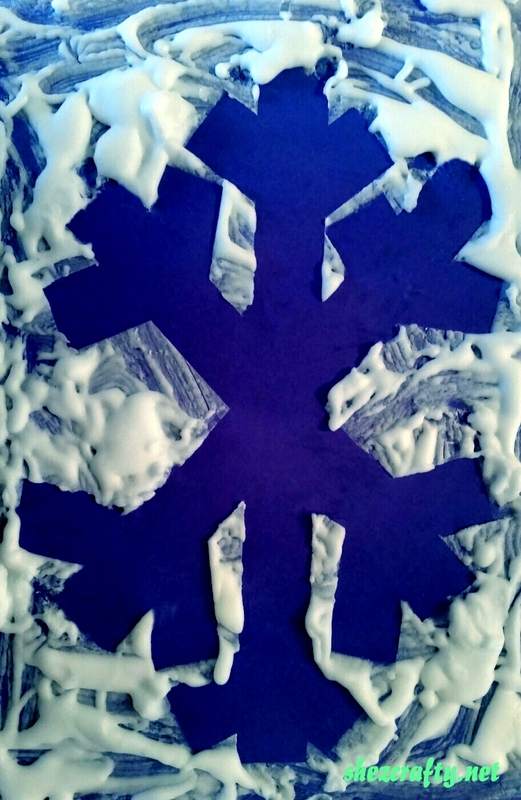 Two ingredient snow paint was just the thing this morning. 3. 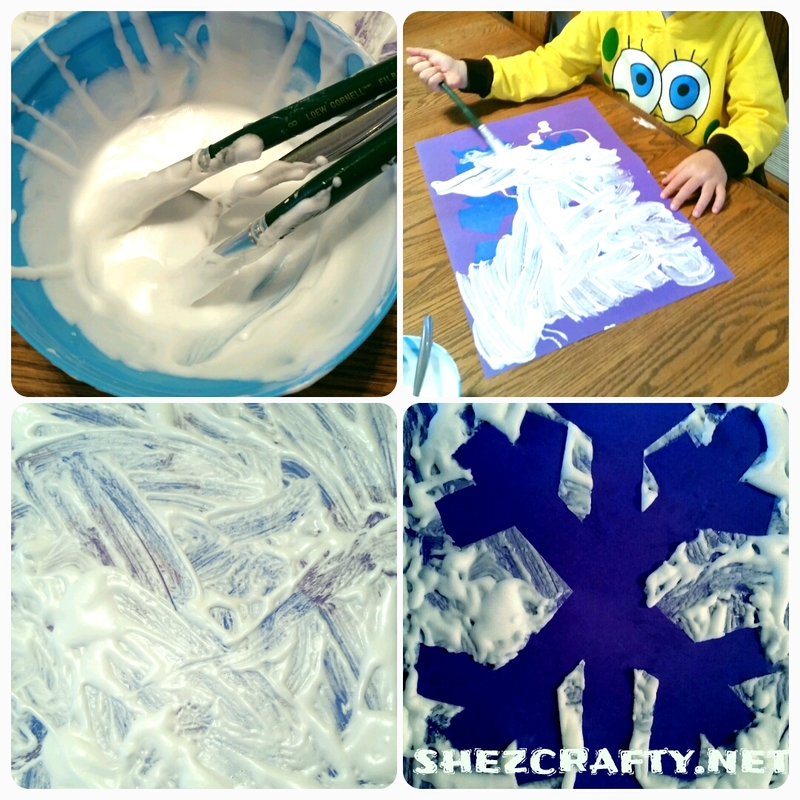 Let kids go crazy with the shaving cream mixture cover the entire sheet of paper.